THE Financial Times is using the power of Instagram to push their visual content – and they appear to have hit upon a winning formula. Renowned as the best financial publication in the world, with a daily combined online and print readership of 1.8 million, the title boasts 517,000 Instagram followers with thousands being added daily. But what is the FT doing to create a unique and intriguing online presence? “It’s important to make sure we’re not just joining in with what other publications are doing, that we have our distinct voice and identity,” Jake Grovum, social media journalist at the FT told Digiday. Their strategy of creating a distinct voice and identity is resonating with Instagram users. This new-found identity does not copy the style of their print publication, nor does it thrust facts and figures at the audience. Instead it aims to build a narrative around news and current events via the Instagram Story option. This connects the viewer to the brand using snippets of information with the option to read further. When it comes to hot topics such as Brexit or Trump, FT tries to create an awareness of the situation via updates and a running commentary, rather than presenting it in a wordy news format. The FT‘s Instagram page is dedicated to lighter lifestyle content. Beautiful pictures of mountainous terrains, satirical cartoons of George Bush dressed as Captain America holding up the US’s nuclear war policy and images of protests all engage the audience, but do not pressure them to subscribe to the news provider. The FT is also paying attention to an area of Instagram content which was once sneered at: charts. Not perceived as pretty, or easy-to-read, charts stood out from the social rules of Instagram. Yet data displayed in bite-sized chunks – such as the value of the pound since Brexit and the performance of Apple shares – has received some of their highest Instagram likes and interactions. 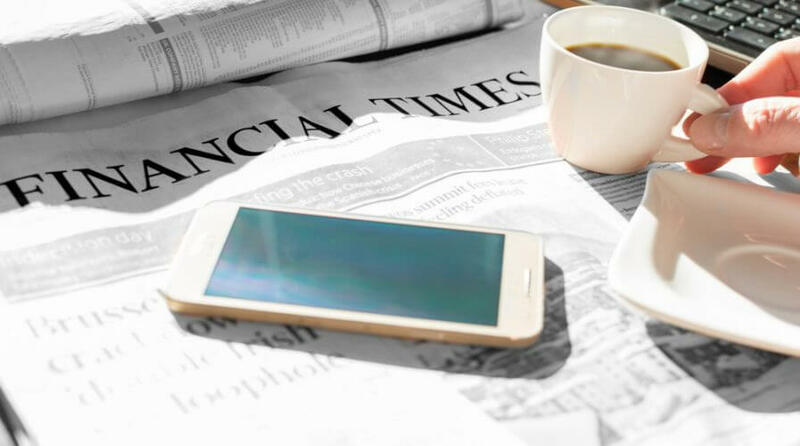 FT‘s success on Instagram came through their ability to know where news belongs and where appealing images and snippets of insightful text fit into the bigger Financial Times picture. The realization that charts have the potential to pull in readers is having positive effects for companies such as Goldman Sachs and JPMorgan. Of course, though, the ROI calculus is not as simple for financial service publishers as it is for consumer brands, who can link their product in their post, such as Taoboa.world. But this is not a huge concern for FT, as brand exposure and public engagement hold high value in themselves for the publication and provoke discussion, which in time can generate subscription.